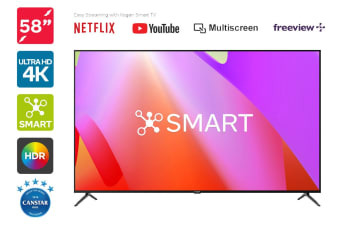 Delivering true-to-reality 4K picture on a stunning 4K Panel with enhanced HDR and streaming support for Netflix and Youtube, prepare for an immersive and astonishingly vivid viewing experience on this elegant Smart TV. 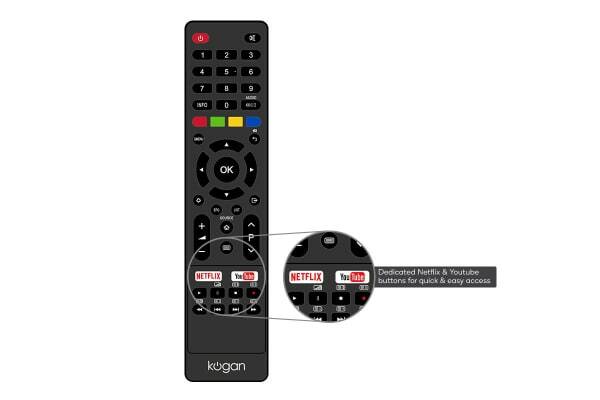 With an impressive Linux operating system onboard, you can effortlessly launch Netflix and YouTube for 4K viewing at a touch of a button. Plus, access your other favourite streaming services when you mirror from your compatible Android smartphone or Windows 10 device. Never miss your favourite free-to-air TV shows again with Freeview Plus. 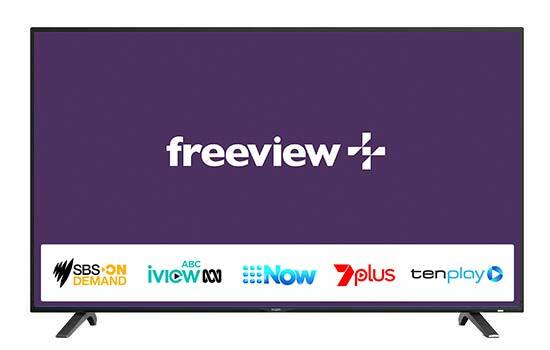 Catching up is as easy as going into the Freeview Plus program guide to find available shows, or selecting from any of the available network services, including SBS On Demand, ABCiview, 7plus, 9Now and tenplay. 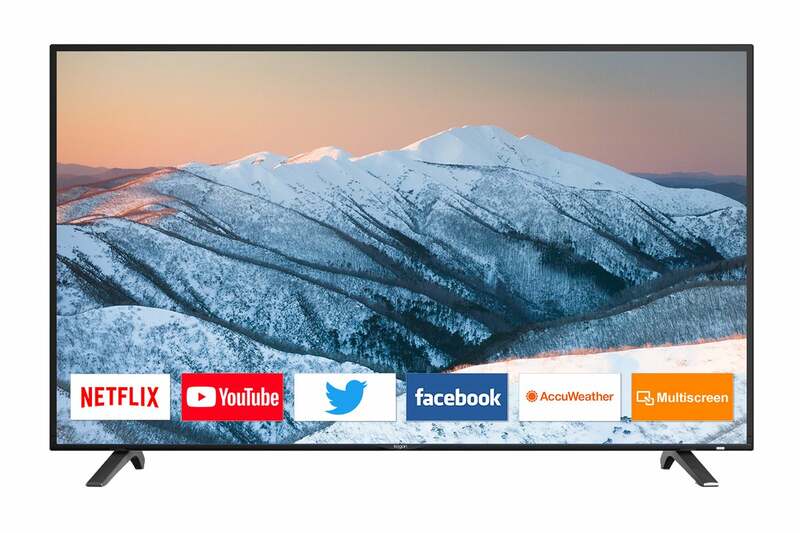 Delivering four times the resolution of Full HD and packed with HDR for an expanded range of contrast to show every subtle nuance and hue in colour, the Kogan 58” Smart HDR 4K LED TV is the ideal TV for smarter, more seamless 4K Ultra HD viewing and user experience. Connect to the internet via the built-in Wi-Fi or Lan and enjoy access to your favourite gaming consoles and files using the HDMI and USB ports, plus support for VGA and AV inputs on legacy devices. 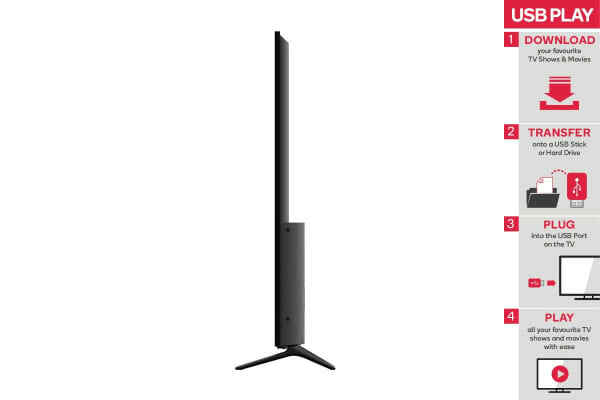 What’s more, this TV can be used as a wireless display for compatible devices. 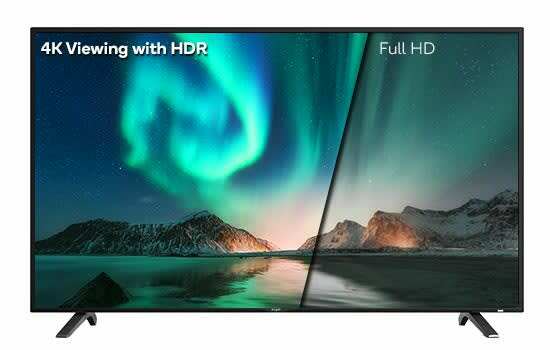 Treat yourself to an exceptional visual experience with HDR support, which makes for a richer, true-to-life viewing and gaming experience. Use the PVR system to record up to 1TB of free-to-air TV programs to watch back later. A USB storage device must be connected to enable recording.